This wall mounted silver and brown giraffe head captures the exquisiteness and grace of the towering African plains drifter. 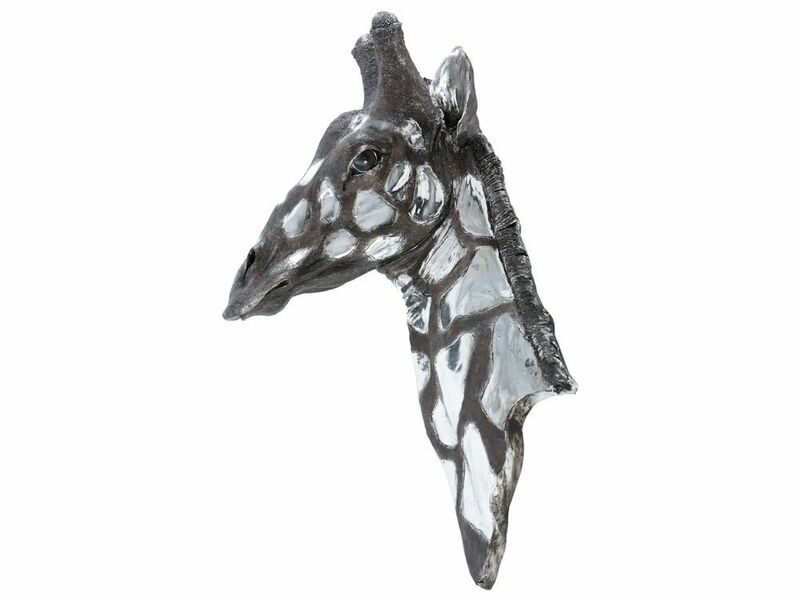 The classic giraffe markings are depicted in dark brown against the shiny silver, giving this electroplated resin giraffe wall sculpture the look of solid metal. The quizzical expression on her face and glint in her eyes add to the appeal of this unusual wall decor that's sure to be a real talking point.